← Your Practice Computer Security – The Russians Are Coming! Many of you know that I’ve long been a “do-it-yourself” guy when it comes to website marketing for a long time (17 years). Perhaps to a fault. Though I’ve been a DIY marketer, I have always been clear in my acknowledgement that it’s not realistic for most dentists to do it all themselves. In fact, I’ve largely advocated against it. But, I’ve leveraged my own DIY experience as a way to advise dentists on how best to vet and utilize the services of marketing professionals. Furthermore, as time has gone on, and my free time becoming more scarce, I have also used the services of dental marketing professionals. If you consider the advent of Social Media, the burden of doing it all yourself becomes even more daunting. 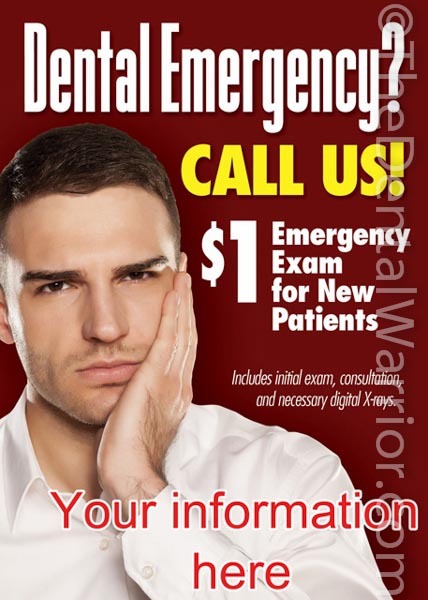 I’ve been using and testing a new dental marketing service for several months now. It’s called “Dental Web Content,” brought to you by the marketing geniuses at New Patients Inc. I would describe it as the perfect and affordable blend of DIY with professional help. I have LONG preached that “Content Is King.” And, I’m sticking to my story. Unique, compelling content will win the marketing day. But, I’ve also learned that many dentists are not comfortable in creating all their own marketing content. Videos – for use in social media (Youtube, Facebook, etc.) or on your website. Social media posts (Facebook) with copy and images. Office forms – patient registration, health questionnaire, HIPAA, photo model release, etc. Website landing pages – content for special, trackable destination pages on your website. Mailers – both snail and email. And “so much more!” Really! When I say “huge library,” I really mean it. It can actually be overwhelming if you try to take it all in at once. I recommend doing it in bite-size pieces. I’ve been at it for several months, and I’ve barely scratched the surface of this smorgasbord of marketing materials. Click the image to see a demonstration of how DWC works. Pick a marketing project, topic, or idea you’ve been thinking of doing and search the Dental Web Content library for material pertaining to it. Complete that project and then move to the next idea or topic. Create a “boosted” video ad for Facebook about one of your services. Make a flyer to display in the office. Create a new web page on your website about a marketable service or amenity in your practice. Create a new email blast to send to all your patients. Pace yourself. Rinse and repeat! Some of these pieces, like internal practice brochures, print ads, website copy, post cards, and mailers are ready to go after the end user (you) insert your own practice information. No waiting. You download it, plug in your practice info, and then send it off to your printer, post it on your practice Facebook page, send it off in an email blast to your patients, or have it inserted into your website by your webmaster. 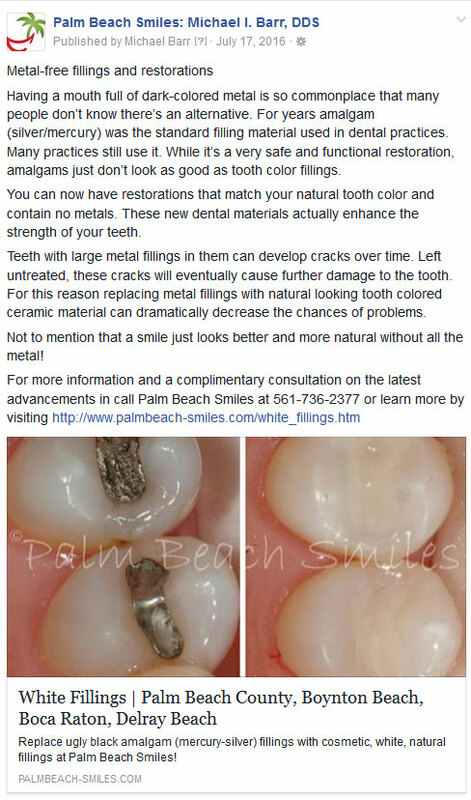 Example of a Facebook post with content sourced from Dental Web Content. I added the link and photo. Other products, like the videos, are customized by the folks at New Patients Inc. Once you have an account, you just put the product in your “Backpack” (aka “cart”) and place your order. In a few days, you’ll receive a link to download your customized video with your practice information embedded in it. Post the video on your Youtube channel, Facebook page, or in your website. Show it to your mom! Or all the above! I recommend getting at least Level 2, so you have access to the other content. It’s worth mentioning again that there is no annual contract. I really think the pricing is a bargain, given the seemingly bottomless supply of content and considering the qualifications and reputation of NPI. By way of comparison… The last year I had a Yellow Pages ad (2007), I paid $225 / month for a SINGLE BOLD LINE listing! And, I got SQUAT in return! Dental Web Content is a value-packed cornucopia of proven marketing material. New Patients Inc now also offers the NPI Concierge (online scheduling) and NPI Crusader (reputation management). If you bundle those services, there are significant savings (effectively making the DWC subscription as low as $1 / month). I will be reviewing those services in future articles after I gain some experience with them. Once you are subscribed, you can search the DWC Media Library for a specific marketable dental topic, like: implants, veneers, bruxism, Botox, Six Month Smiles, Invisalign, dentures, whitening, sedation, dental technology, CAD / CAM, convenient location and hours, financing options, insurance acceptance, office amenities, and on and on and on! Seriously, I can’t think of any conceivably marketable practice attribute that isn’t covered in this tremendous library. And, they are constantly adding more content! If you can’t find what you’re looking for, ask them! They are very responsive to requests. They’ve already created some new ads based on my requests. This is an ad that DWC did on my recommendation. The idea came from the $1 exam ad they already had. So, they made this for me and made it available to all subscribers. Ultimately, our goal as marketing dentists is to build our practices. The bottom line is that dentists will save money AND time implementing effective marketing strategies with Dental Web Content. Check it out! This entry was posted in Dental Product Reviews, Marketing, Social Media, Websites and tagged dental brochures, dental marketing videos, dental social media content, Dental Web Content, dental website content, New Patients Inc.. Bookmark the permalink. If you get a “branded” video and you post it to your practice youtube. Then next year you decide to NOT use DWC. Do you the dentist own the video? Honestly, I’m not sure (after reading the TOS). I’ll see if I can get someone from NPI to answer that. Once customized, the video is downloaded by you in several formats. These are your files. You can use them to promote the dental practice at the address in your subscriber record for eternity. I had emailed Howie several times as I was interested. If the Dental Warrior gives it high marks I need follow through. I like to ride the coattails of genius dentists. The DWC Media Library, is that a Repository of dental blog articles / content for you to cut/paste into your own website? If so, isn’t original content king? If I copied information on teeth bleaching and put it on my website and other dentist’s use the same bleaching content for their websites….wouldn’t that be bad for website ranking to use the same content? Same question as Michael here? Personally, I won’t likely use any copy for my own website copy… It seems I have a “knack” for writing. 😉 And, I’ve got a TON of website copy already. I might borrow some snippets here and there, though! But, I’ll use the videos. And, I’ve used their copy for things like FB posts. I’ve also used it for in-office flyers. More to come with email blasts, and other projects. But, for 17 years I’ve tried to get dentists to write their own copy. The reality is that MOST will never do it. They just won’t. But, pre-written copy could be a starting point for them. They could modify / edit it as it suits their needs and personality. I dare suggest that MOST dental websites could use some help in the content department! That said… the website copy available on DWC is just the tip of an iceberg of OTHER marketing content that is TESTED. Even my list of types of content in the article above is just scratching the surface. This goes WAY beyond offering some copy for your website. That’s just one of many, many things offered by DWC. Makes sense and thanks for the answer. On a slightly related question regarding written copy, what is your take on print type marketing (direct mail, postcards, newspaper ads, etc.)? You mentioned yellow pages and alluded to that being dead (and I agree) but do think printed type marketing in general has gone the way of the dinosaur (like yellow pages has) at least in larger towns and cities? As far as “push marketing” in print to the general public (or even targeted audiences), you may have a point. It’s expensive and the ROI can vary, depending on your market. But, printed marketing pieces can also be used internally… your existing patient population? We still send recall postcards, for example. A lot of patients still like that. Printed marketing pieces can also come in the form of office brochures and displays… signs and posters, for example.